The Egyptian government has always claimed that it upholds the right for Christian Egyptians (Copts) to practice their religion "freely" and that any persecutions against them is out of their control; stating that they cannot be held responsible for what a minority group of "extremists" do. That's their official, public stance. What they really do is quite contrary to that; including threatening H.H. 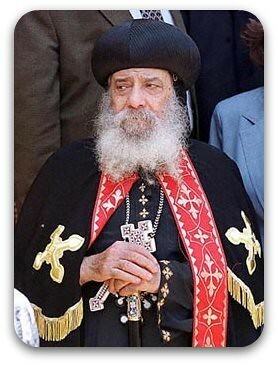 Pope Shenouda III with imprisonment if he does not accept rulings being forced upon the Church in direct opposition to Biblical teachings. Unfortunately, the Western media provides little to no coverage of such events and these types of archaic practices continue unabated. Raymond Ibrahim, associate director at the Middle East Forum brings light to this issue and I urge you to read his article and do your part to spread the word. Let us pray for a peaceful end to these acts and safety to all Copts affected. Jeremy.. thank you for shedding light on this sad and important issue.